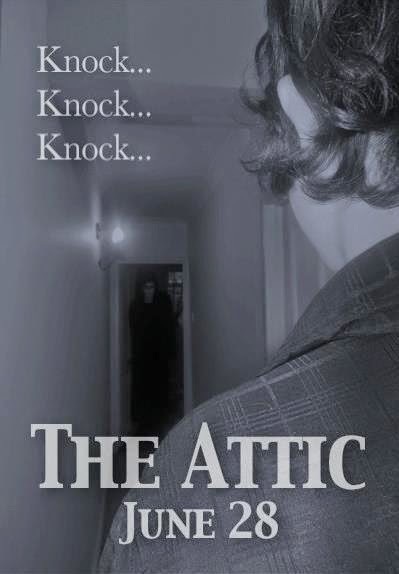 The CarrCom Blog: The Attic - Filming Complete! What you see above is the official poster for The Attic - not a lot, but it works! The slogan is relevant to the events in the film as you will see when you watch it! It may be hard to make out, but the ghost is standing at the doorway, leering back at Joseph. Once you see it, the poster becomes a lot more effective. I am also proud to announce that filming is complete, and as it was all edited as we progressed, the film is pretty much finished! It runs for 44 minutes excluding end credits, which have yet to be inserted. With 26 days until release, you can expect more stills and a new trailer to increase the hype ready for June 28! Thanks to all who provided feedback and support, and of course a special thanks to the people who helped out with the film!